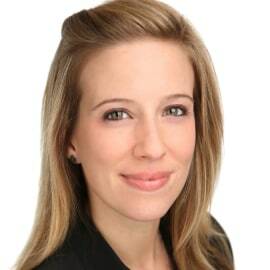 Kate Montgomery is Associate Director, Strategic Partnerships at Acumen. She leads business development and partner engagement for our Pioneer Energy Investment Initiative and Africa. Prior to joining Acumen, she was d.light’s Director of Global Partnerships for five years, developing d.light’s strategy for engaging with the public sector and other key partners globally. A key part of this work is the institutionalization of d.light’s strategy to rigorously measure and communicate their social impact. Prior to that, she was in the humanitarian aid sector working for Tuft’s Feinstein International Center and the International Rescue Committee in Pakistan and Haiti. She holds a BA with honors in Political Science and East Asian Studies from Colgate University and a MS in Conflict Studies from the London School of Economics and Political Science. Acumen is changing the way the world tackles poverty by investing in companies, leaders and ideas. We invest patient capital in businesses whose products and services are enabling the poor to transform their lives. Founded by Jacqueline Novogratz in 2001, Acumen has invested more than $106 million in 96 companies across Africa, Latin America, South Asia and the United States. We are also developing a global community of emerging leaders with the knowledge, skills and determination to create a more inclusive world. In 2015, Acumen was named one of Fast Company’s Top 10 Most Innovative Not-for-Profit Companies.